Leadership refers to the ability of a person to motivate and inspire others towards a common goal. It is a critical management skill in the corporate world. A good leader has multiple skills, including honesty and integrity, commitment and passion, and decision-making capabilities. But, the truth is that anyone can learn and develop leadership skills. Along with the desire to lead, one must possess the willingness to learn methods and techniques of effective leadership. 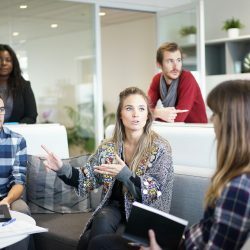 The Master of Science in Leadership (MSL) degree program at Trident teaches these methods and techniques with experiential learning where the student actively participates in leading a team, coaching a subordinate, or engaging with an unfamiliar culture. Assignments include journaling, preparing action plans, and working collaboratively to provide opportunities for experience, trial-and-error, and self-examination. There are many effective leadership styles. A transactional leader approach is completely different than a democratic/participative leader approach. No one style is better than another. All have specific situations in which they are most effective. A good leader will select the leadership style that is best fit for situation or team. A good online leadership degree will teach a variety of leadership styles, which allows for learners to create your own toolkit for your leadership role. Content sourced from an interview with Dr. Debra Louis, Dean, Trident’s Glenn R. Jones College of Business.